A new book has lifted the lid on the unusual world of a British Army “psych-ops” unit in 1970’s Northern Ireland, and has revealed the lengths officers went to for the sake of discrediting paramilitary groups by creating an association with the paranormal, and Satan-worship. Sheffield University sociologist Professor Richard Jenkins used interviews with army officers who were active in Ulster at the time who deliberately stoked fears over Satanism in an effort to create an evil that both catholic and protestant observers and combatants would recoil from in equal measure. One of these officers, the so called head of “black ops”, told Jenkins that his operatives created a climate of fear by placing black candles and upside-down crucifixes in burnt out and damaged buildings in contested areas. Leaking stories of black masses, devil worship and evil magic to the press, the innocuously named Information Policy Group worked to create an association in the public imagination between the paramilitaries and Satan. The horrifying acts of black-bag ‘disappearings’, meaning the kidnap, murder, and secret burials by republicans at the time amplified the panic, which also apparently had the welcome side-effect of keeping children and teenagers off the streets at night, which made the army’s job easier yet. The Guardian reports the comments of the officer interviewed on how they came to choose the devil as a means to defeat extremism in Ulster: “we were looking for something that would be regarded with abhorrence really by the two communities, and at the same time would be something that paramilitaries couldn’t justify, and also would be in many ways seen as a reason why some of the outrages were taking place… Ireland was very superstitious and all we had to do was bring it up to date”. 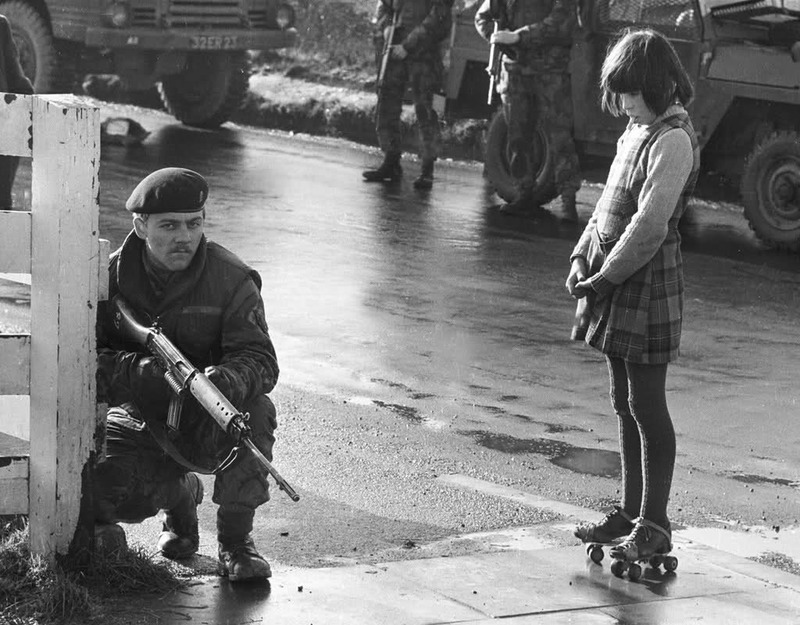 The British Army was deployed operationally in Northern Ireland under Operation Banner from 1969 to 2007, which made the tour the longest ever in British military history. Although British forces did not win a conventional military victory, it is widely considered to have been a success as the deployment ended with the Northern Ireland peace process, and a hand-over to the Police Service of Northern Ireland from the army. In nearly 40 years of combat, British loyalist forces suffered nearly 1,500 dead and many thousands more injured.